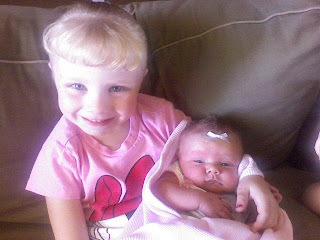 Blair Family Blog: Carlie is happy to hold Camrie! They are both such qt's look at how cute her little cheeks are!! Darling. So I just got off the phone with Heidi were going to go to 25 Main on Monday @ 1:00, so come please.